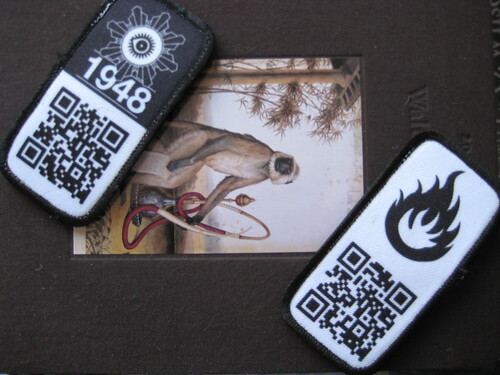 A fun and interesting bit of work – well done John “Tikaro” Young and Kenn “Wappenbee” Munk! I understand the Japanese are way ahead of us in the ‘point your cell phone at a barcode and get info’ race (we in the US lag in most cell apps, it seems); I’m counting this as continuing to get my feet wet with ubicomp. 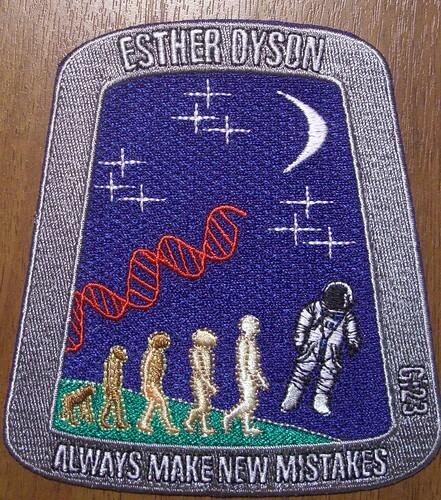 Via my Fickr contacts feed, a great patch designed by Gi for Esther Dyson. Dyson is in Star City training as a backup cosmonaut. This entry was posted in information sys, making things by dr.hypercube. Bookmark the permalink.